This dish is a mouthful, both in title and in contents. 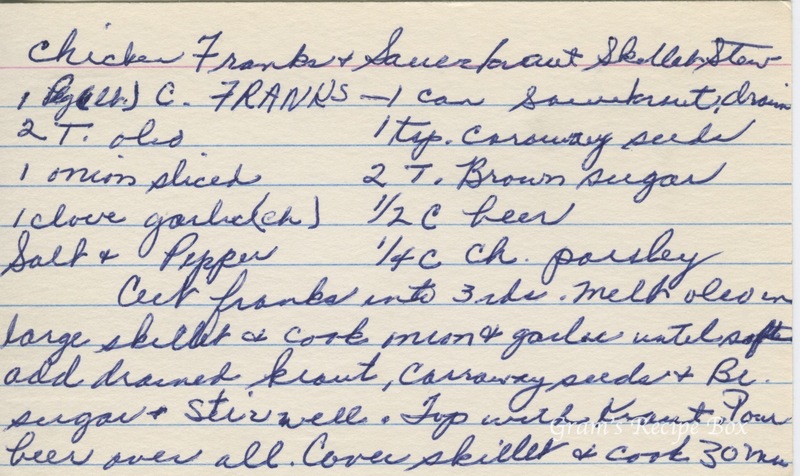 Franks and sauerkraut, or sausage and sauerkraut more specifically, was a sometimes dinner when I was growing up, although I think my mother used Polish sausage or kielbasa sausage. These days it is so loaded with sodium we try to stay away from it, but about once a year I think about it. The method below this recipe is a little confusing. Anyone care to guess what is going on here? Should the franks be added instead of the kraut at some point? Is “pot” potatoes (I think so)? Cut franks into thirds. Melt oleo in large skillet & cook onion & garlic until soft, add drained kraut, caraway seeds & brown sugar. Stir well. Top with kraut (??). Pour beer over all. Cover skillet & cook 30 minutes on low heat. Meanwhile boil pot. Drain & turn into the skillet & dry off. 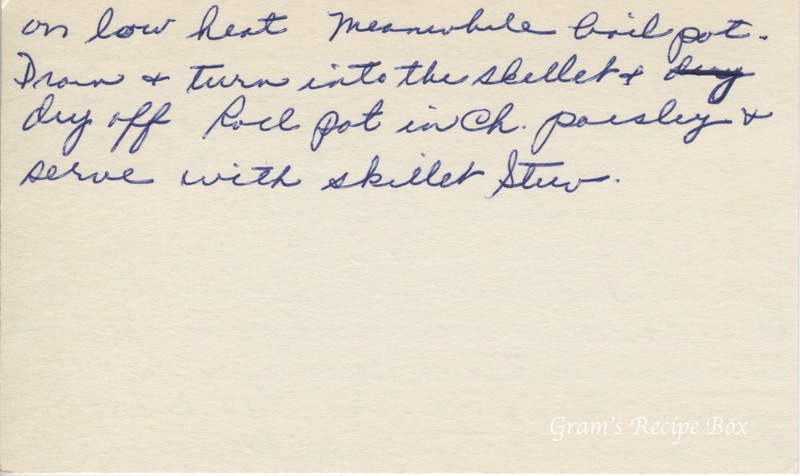 Roll pot in chopped parsley & serve with skillet stew.